Ragman (Between Sets Acoustic): Our storyteller. One of my personal (not only local … but all-time!) faves, the Terramara guys are veterans of the local Twin Cities music scene, touting a stylistic approach that recalls Steely Dan, Joe Jackson and a handful of other smart jazz-infused too coolfor school jams! Any band that opts to do live interpretations of Coltrane’s Love Supreme and Herbie Hancock’s Head Hunters is good in my book! The Twin Cities’ own Capital Sons has a very cool vibe evoking sounds of both crunching guitar rock and a Cities 97 appeal and sensibility … an original and musically accessible clan of cool cats. 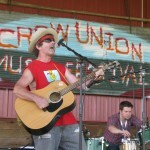 The Crow Union Village has added yet another band to the 2010 lineup … Pictures of Then. I personally was knocked over by their fresh sound … A bit of late sixties British Invasion, a dash of psychedelia and some GREAT songwriting and harmonies. One listen to Pictures of Then and you too will become an instant fan. Promise. Also, check out this clip from an in-studio performance at The Current studios … Great stuff. Crow Union Music is serving up a late-night (10-Midnight) dish of the blues! All indications point to Saturday, July 31 as a hot summer night, perhaps a few self-made cocktails in the system, some great mingling (and maybe tingling if you’re lucky), and the stars on bright … I can’t think of anything much better than topping it off with the whollop of a big-ol harmonica and blues-driven rhythm courtesy of Boom Boom Steve V. & The Knockouts. Steve Boom Boom Vonderharr…sounds like a jet taking off…Steve picks em’ up and lays em’ down. If you’ve ever been to see Steve play before, you know that the harp becomes part of his energy field and he rides it from the first song to the last. He’s like a shooting star on a cloudless night! 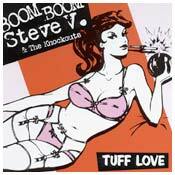 Bluesy Steve V. and the Knockouts will bowl you over. (Steve) plays with conviction and purpose, expressively wringing the life out of that little piece of metal and wood (harmonica) like some kind of whirling dervish. Over the past 22 years Steve Vonderharr has…become one of the most respected and influential veterans of the Twin Cities blues scene. 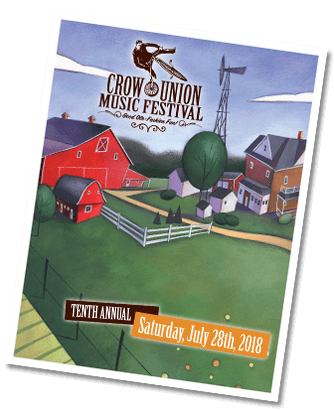 © Crow Union Music Festival 2009-2019. All Rights Reserved. Site designed by Flicker Creative.